Despite escalating violence in the area, Isaac Kon will begin teaching primary classes soon in Akot, South Sudan. Commonly known as “Tomorrow,” he has taught at a Living Water Community Transformation, Inc., primary school since 2007, when the organization hired him as its first teacher. Tomorrow even traveled around the area with a local pastor, convincing families to release their children from chores so they could attend classes. In the subsequent years, Tomorrow has watched the student population grow from 20 to 600, 200 of which are girls. That’s an impressive gender ratio for Southern Sudan, where families often want daughters to stay home and care for infants or tend gardens. LWCT even opened up another school to serve the 600, and in 2012 Baptist Global Response began funding school lunches for both schools. The meals help children overcome malnourishment issues. LWCT’s Ann Rao says that although the schools don’t have proper buildings, villagers dub them the best in the area. Even now, when the political environment surrounding Akot is insecure, Tomorrow and the rest of the school staff are still determined to educate village students. 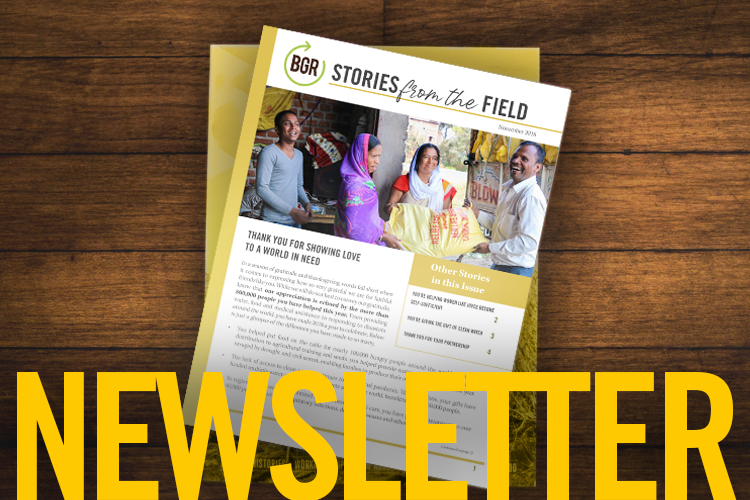 Rao asks people to pray for LWCT school directors, teachers, guards, cooks, chaplains, nurse, girls’ counselor, pastors, driver/mechanic, sewing ladies, women's ministry, agriculture leaders and students as they labor to transform a community.